Today we welcome Fiona Higgins to AusRom Today to chat about her new release, Fearless. 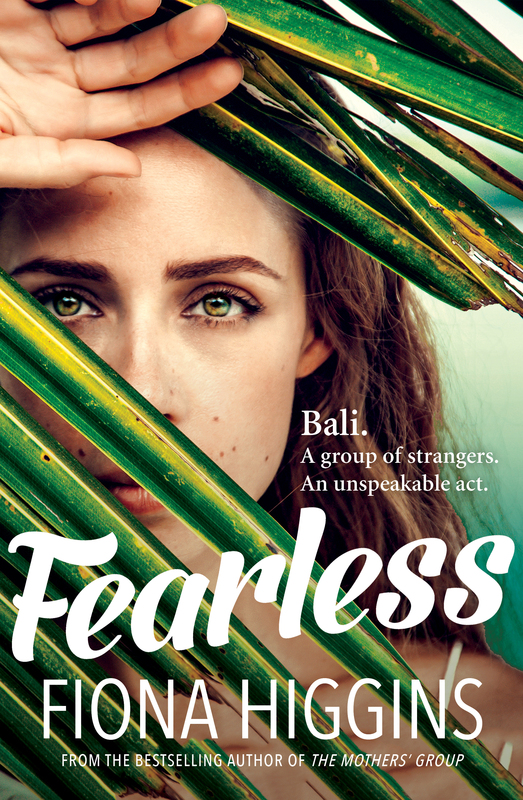 Fearless tells the story of six strangers who meet in Bali to attend a course designed to help them face their fears. What sparked this concept for you? I wrote the novel when we were living in Ubud. Anyone who’s ever been to Bali can attest to the fact that these sorts of personal development workshops are going on all the time there! But strangely enough, the initial idea was born out of five days of intense tropical fever I suffered in mid-2014 – at the worst of it, I was topping 41 degrees and bedridden. I was delirious – literally hallucinating – and these imaginary people filed into my bedroom and starting talking to me. I recorded a few sentences about each of them on my iPhone, then I simply fell asleep and forgot all about it… until I replayed the recording some months later, and ‘Fearless’ was born! The Fearless characters are a diverse group as are the challenges they face to overcome their fears. What kind of research was involved in the planning of the novel? Was there anything surprising that you learned during the research process? I reviewed a lot of clinical and popular psychology research pertaining to the most common human fears across cultures, and what has been clinically proven to make a difference for sufferers of phobias and other anxieties. It surprised me that the top three human fears are flying, death and public speaking – in no particular order. I also learned about some unusual fears of which I’d never heard – such as spectrophobia (the fear of looking into mirrors) and chaetophobia (the fear of body hair). What was your biggest challenge in writing Fearless? The character of Lorenzo was quite difficult to write. He’s a troubled soul, who ends up on the retreat because he and his wife are having difficult conceiving a child – and his wife suspects he is afraid of fatherhood. She’s wrong – Lorenzo’s fear actually lies far deeper, and it plays a significant role when the entire group unexpectedly finds themselves fighting for their lives. You were living in Bali while writing Fearless and you’re are also fluent in Indonesian—how did these two factors enhance the storytelling aspect, if at all, of Fearless?Understanding language is critical to understanding culture. I have a twenty-year personal history with Indonesia – as a uni student, I spent some time in Central Java completing studies in Indonesian (at the time former President Suharto was overthrown!) On my return to Australia, I became an accredited Indonesian translator. So my family’s more recent three-year stay in Bali was a wonderful consolidation of that prior history – and hopefully some of that rubbed off in terms of the novel’s cultural coherence. What happens when six pampered Westerners on a spiritual retreat in Bali end up fighting for their lives? A gripping novel from the bestselling author of The Mothers’ Group. A breathtaking new novel from the bestselling author of The Mothers’ Groupand Wife on the Run. Six strangers from across the world meet on the tropical island of Bali to attend a course designed to help them face their fears. Their backgrounds are as diverse as their fears – which range from flying, public speaking and heights, through to intimacy, failure and death. Friendships and even romance blossom as the participants are put through a series of challenges which are unusual, confronting and sometimes hilarious. A week of fun in the sun suddenly turns into something far more serious, however, when the unthinkable happens – a tragic disaster that puts the group in deadly danger, testing the individual courage of every member. Shocking, powerful and utterly gripping, Fearless takes you to the edge and makes you look down.